Love my Panther Chameleon & Tegu! I’ve received 2 amazing Reptiles from CB Reptile & I’m very happy with them both! My Baby Panther Chameleon, Wild Thing, is healthy & growing like a weed.. and my Black and White Argentine TEGU is the most majestic, beautiful lizard I have ever seen. I named him Little Foot and he is my best friend! He’s very healthy, happy, and docile. Very pleased with both of my babies! 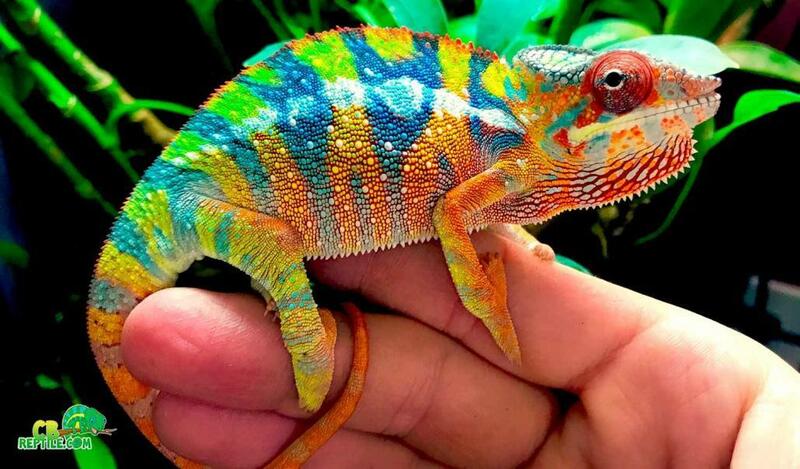 https://www.cbreptile.com/wp-content/uploads/2017/08/ambilobe-panther-chameleon-breeder.jpg 879 1500 CBReptile.com https://www.cbreptile.com/wp-content/uploads/2017/07/cb-reptile-logo-v1-300x180.png CBReptile.com2018-03-29 12:30:562018-04-09 20:07:27Love my Panther Chameleon & Tegu! Perfect Leopard Tortoises! The best box turtles for sale!